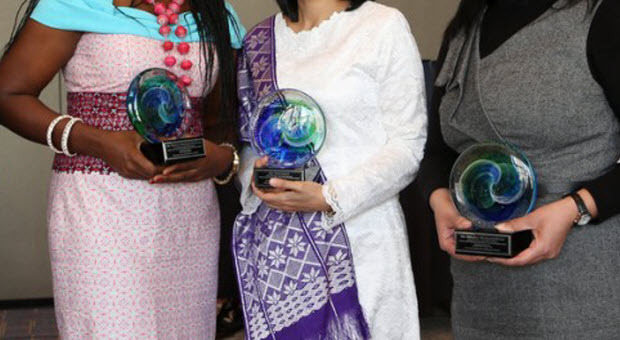 The Elsevier Foundation Awards for Early-Career Women Scientists in the Developing World recognize the achievements of researchers who have made significant contributions to the advancement of scientific knowledge. The awards rotate annually between disciplines of biological sciences, engineering sciences, and physical sciences to ensure optimal exposure and networking opportunities. Next year, the awards will for the biological sciences: agriculture, biology and medicine. Each winner will receive USD $5,000 and all-expenses-paid attendance to the American Association for the Advancement of Science (AAAS) Annual Meeting in Washington, DC, February 11-15, 2016, where the awards ceremony will take place. Winners may also be asked to act as mentors to selected women scientists undertaking PhD scholarships and will receive training. Previous winners say the awards have increased the visibility of their research and created new opportunities for the future. The awards are sponsored and organized by the Elsevier Foundation in partnership with the Organization for Women in Science for the Developing World (OWSD) and The World Academy of Sciences for the advancement of science in developing countries (TWAS). This year’s awards honored five young physicists and mathematicians from Nigeria, Sudan and Vietnam at the AAAS Annual Meeting in San Jose, California. The winners – who are featured in the video – are Dr. Nashwa Eassa (Nanoparticle Physics – Sudan), Dr. Dang Thi Oanh (Computational Mathematics – Vietnam), Dr. Mojisola Oluwyemisi Adeniyi (Lower Atmospheric Physics – Nigeria), Dr. Mojisola Usikalu (Medical/Radiation Physics – Nigeria) and Dr. Rabia Salihu Sa’id (Atmospheric Physics – Nigeria). You can watch them in this video.